It doesnt take much for Black people to attack other Black people, we have a natural inclination towards self-hate. 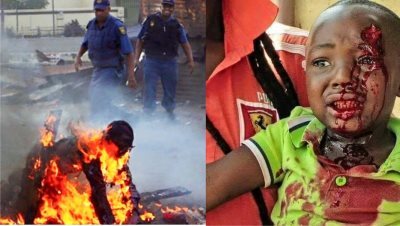 AFRICANGLOBE – Xenophobic violence has erupted in South Africa again, in a cycle that is now being fueled by politicians ramping up anti-immigrant rhetoric in a country where African migrants are easy targets. The latest attacks were vigilantes who were said to have allegedly found a Malawian man with stolen goods. Over several days, Malawians in the settlement were targeted as retribution. Calm was restored by Apr. 1, after South African officials intervened, the local Islamic Society and other NGOs negotiated and the Malawian community of Durban had to write a letter apologizing on behalf of one man, according to a statement from the mayor’s office. No arrests were made. 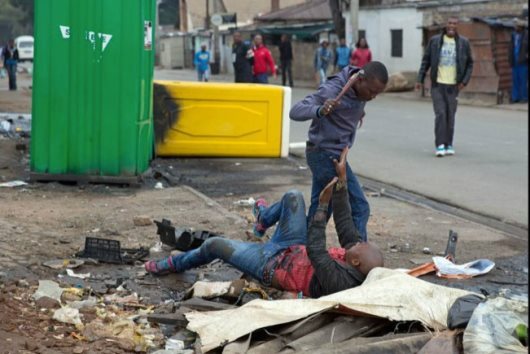 The attacks aren’t usually targeted against one nationality, with Somalis, Congolese, Mozambicans, Nigerians and Zimbabweans all bearing the brunt throughout the last decade of anti-African violence. The 2015 attacks were fueled by comments made by Zulu King Goodwill Zwelithini as he flexed his political muscles. 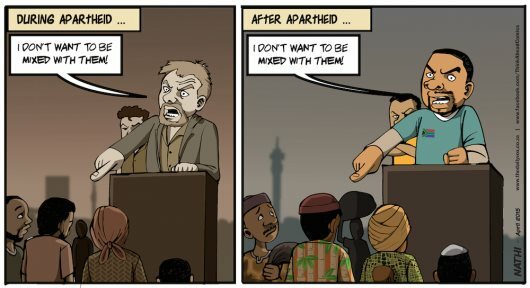 This time, the thread may not seem as direct, but the attacks come after weeks of anti-African rhetoric by South African politicians. On Monday (Apr. 1), president Cyril Ramaphosa condemned the attacks, reminding South Africans that they owe their African neighbors a debt of gratitude for their support during the struggle against apartheid. Yet, just days earlier, Ramaphosa himself scapegoated foreigners while on the campaign trail. “Everybody just arrives in our townships and rural areas and set up businesses without licenses and permits. We are going to bring this to an end,” he barked at a rally. That’s the same line taken up by the official opposition, the white-controlled Democratic Alliance. “Securing our borders,” has become a key part of their election manifesto, blaming the ANC for “failing” immigration policies. They’ve linked immigration to their main campaigning points, job creation and crime. In 2008, more than 60 people were killed attacks on Africans, and since then this violence has never quite disappeared. Fuelled by economic insecurity, these attacks are mostly perpetrated by Black South Africans target African migrants, the vulnerable attacking the most vulnerable. That this hatred is now being picked up by politicians is cynical, and terrifying. Next articleThe Revolution Will Not Be On A Podcast!